Hi friends! I hope you're having a great day! We had a very laid back day over here. It's getting HOT! Gah! I'm not ready for this awful weather yet! 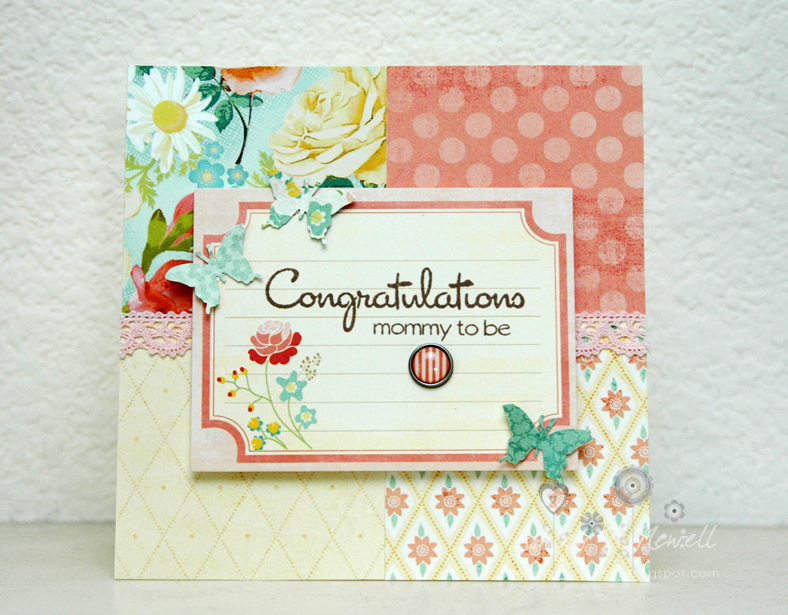 Today, I'm sharing a card I made on Sunday for a challenge over at the Craft Warehouse Facebook page. The challenge was to use 6 patterned papers and one or more of the following: brads, journalling tag, and tapes. I used My Mind's Eye paper, journal tag, and brad. The sentiment is My Thought Exactly More Big Thoughts. I also used Light Pink Lace Tape from Love My Tapes. 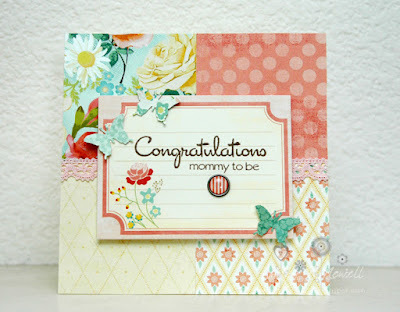 This card is for my sister in law who is pregnant with her first baby. I do have a few more baby cards to make too. seriously love this sweet card!!! Such a gorgeous card. Love the colors.